I am going to start adding Finnish translations below the English text from time to time. 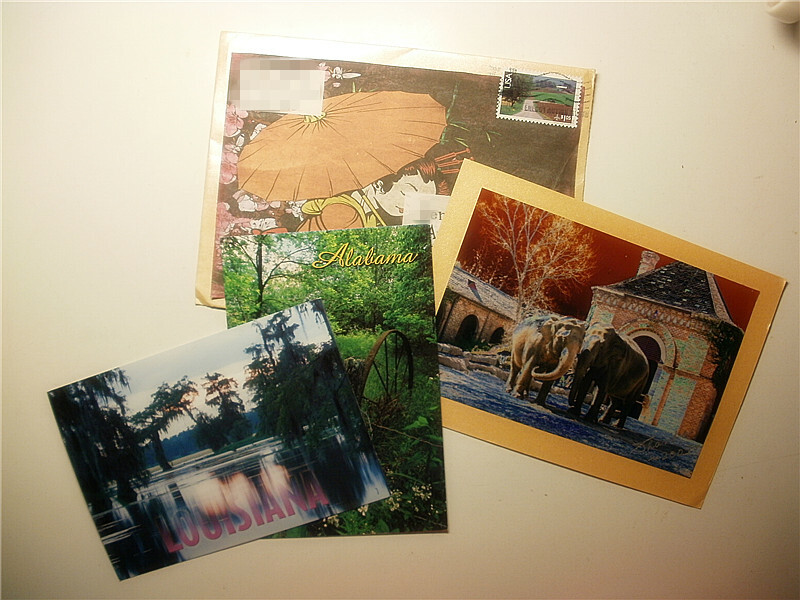 Last week I received U.S. state post cards which were kindly sent by my private swap partner Chandra. Her envelope was really beautiful!! !